Discuss why achieving true sustainability in a washroom requires evaluation of more than just LEED points when specifying partitions and accessories. 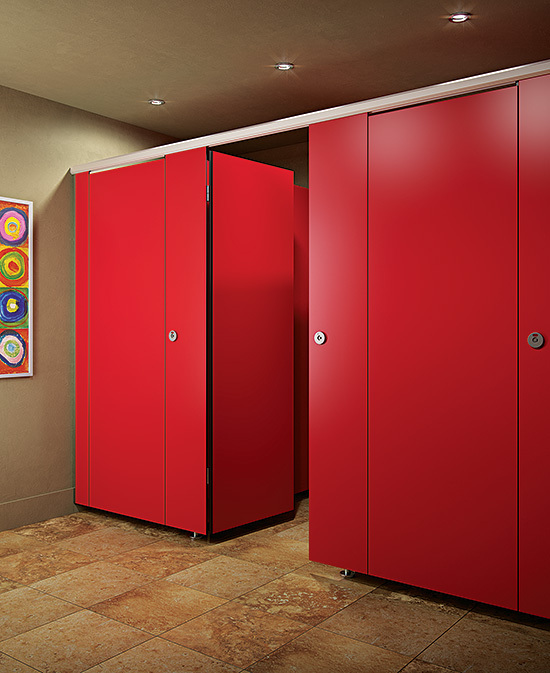 Explain how the materials specified for washroom partitions and accessories can affect overall washroom sustainability. Talk about the characteristics of the most as common materials used, and better understand the tradeoffs in durability, aesthetics, maintenance, user safety, and total lifecycle cost. Understand that some widely-held perceptions and assumptions about common washroom materials are misguided. Most people expect privacy in the bathroom. Paradoxically, most bathrooms outside of private homes are designed for multiple, simultaneous occupants (The Atlantic, April 2014). Anyone who has experienced the duress of using an overcrowded poorly maintained or uncomfortable public toilet values a thoughtful washroom design. Despite its often taboo and certainly private nature, using public washrooms is a daily reality. The impression, poor or positive, left by a washroom often colors an occupant’s perspective of his or her entire business visit, at times influencing their overarching opinion of how much the building owner cares about their customers, visitors or employees. More often than not, this opinion or assessment carries over about the building design, and by association the architect or designing firm. The demands placed on a high-profile, high-traffic, and heavily used facility require extra care in planning from its architect. An architect must think about it in these terms: What if 100% of a building occupant’s opinion of the architect can be shaped by less than 1% of what an architect specifies? Among the most important design criteria are public health, privacy, safety, and the welfare issues that govern these spaces. A well-crafted public washroom should be clean and dry, well ventilated, easy to maintain, have a carefully planned layout and be disability friendly. Good planning creates a safe, clean, and comfortable public environment. What are unifying elements that resonate in public washroom design? The “10 Best Public Bathrooms,” as rated by Business Insider in 2012, received accolades because their decor evokes a certain era, they have unique and thematic design elements, or even a $40,000 hand-blown glass chandelier (Vanity Night Club, Las Vegas). However, set the individual highlights aside, and one notes washroom designs that universally promote thorough up-keep and user accommodation. The photos reveal clean and attractive spaces. These descriptors convey the ultimate goal in washroom design. The path to realizing this vision, and for securing it for both the client and building manager, is paved by sustainability. 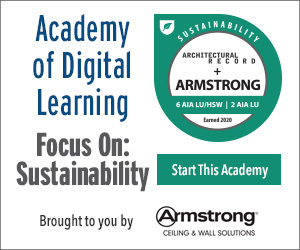 However, this is not simply sustainability as recognized by certifications and program worksheets, but rather it is the durable concept of sustainability as defined by maintainability and design sensibility. This entails a washroom design that is environmentally conscious, offers the longest possible lifecycle of use, employs materials that are environmentally friendly, and one that comprehends first costs in lifecycle costs. It is, actually, all about the washrooms. The impression left by this room makes a profound impact on the overall assessment of the building itself.